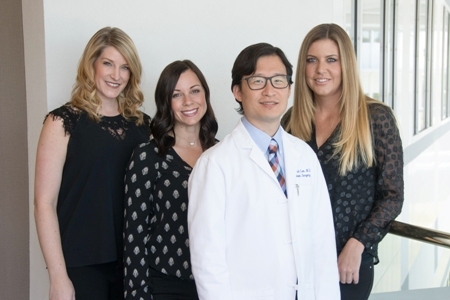 For more than 15 years, board-certified plastic surgeon Dr. Richard Lee has helped Newport Beach-area patients achieve the elegant, natural-looking results they desire and the inner self-confidence they deserve. Whether you want to enhance a certain aspect of your appearance, improve the contours of your figure or address the effects of aging, Dr. Lee and his staff can provide the experience, skill and passion for excellence you need to look your best and live beautifully. To learn for yourself why so many people travel across California to meet Dr. Lee and refer us to their friends and loved ones, please contact Richard H. Lee, MD Plastic Surgery today online or at 949-548-9312 to schedule your complimentary consultation. We welcome patients from throughout the state, including Newport Beach, Irvine, Santa Ana, Orange County and the Greater Los Angeles area. After graduating with high honors from the University of California at Berkley, Dr. Lee attended medical school at the prestigious John Hopkins University School of Medicine in Baltimore, Maryland, where he graduated in the top quartile of his class and was recognized for excellence in clinical research in plastic surgery pertaining to facial injuries. Following graduation from medical school, Dr. Lee completed a 7-year residency program in general surgery and plastic surgery at the world-renowned Johns Hopkins Hospital. 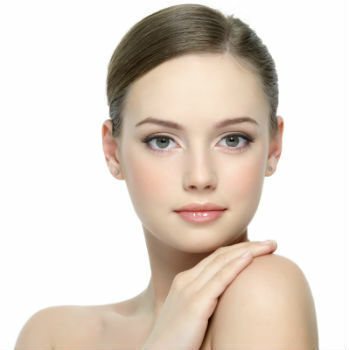 Today, Dr. Lee is a board-certified plastic surgeon with more than 15 years of experience in cosmetic surgery. His prestigious education and extensive surgical experience give him a unique understanding of anatomical composition and how to produce unparalleled, world-class results. He has helped to enhance the bodies and lives of thousands of patients, and treats every individual with honesty, compassion and respect. Dr. Lee knows that the best results come from clear communication, shared vision and meticulous attention to detail. When you meet personally with Dr. Lee for your initial consultation, the focus is on you: your concerns, your goals and your unique physical characteristics. He will take the time to fully explain all of your treatment options and offer his insight gained from years of experience to help you determine which procedures can best deliver the results you want. Through this collaborative effort, you & Dr. Lee will develop a customized treatment plan tailored specifically for you. Dr. Lee is much more than just a doctor. He also serves as a mentor, guide and confidant to all of his patients. Honesty and integrity are the cornerstones of his patient-care philosophy. He understands that the very important and personal decision to undergo plastic surgery is yours, not his. His mission is to thoroughly explain your options so you are empowered to make informed decisions about your own transformational journey. Dr. Lee’s commitment to your results and satisfaction begins during your consultation, extends throughout your surgery and endures long after you’ve left the operating room. When you are a patient of Dr. Lee’s, you are a patient for life. If ever you have a question, concern or desire for additional treatment in the future, he will be here for you. Dr. Lee has spent more than a decade honing his skills and establishing himself as one of the premiere plastic surgeons in Southern California. He has built a hard-earned reputation for superior results, safety and compassionate, individualized care. Meet Dr. Richard H. Lee and his team today! Your safety and well-being are Dr. Lee’s top priorities. To ensure your procedure is as safe and comfortable as possible, Dr. Lee performs his surgeries in our fully accredited, on-site surgical center. Certified by the prestigious Accreditation Association for Ambulatory Health Care (AAAHC), our on-site surgical facility meets the highest standards of excellence and safety. The most important aspect of any plastic surgeon's credentials is his or her certification by the American Board of Plastic Surgery. 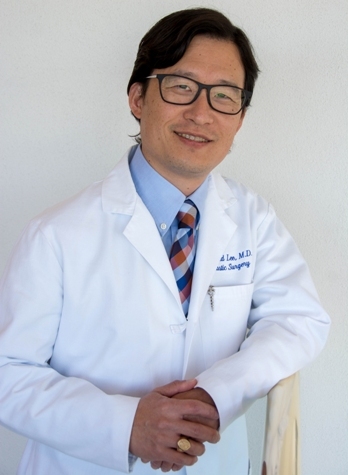 As a board-certified plastic surgeon, Dr. Lee has not only passed a rigorous series of written and oral examinations, but he has completed more that 15 years of premedical, medical and surgical training and specialization. This distinction signifies that Dr. Lee undergone meticulous training in a qualified institution and has passed extensive testing that demonstrates the knowledge and skill of a safe and competent surgeon. When it comes to your appearance and self-esteem, you have the right to demand premium care from a fully qualified and experienced plastic surgeon. To schedule your free consultation at Richard H. Lee, MD Plastic Surgery, please contact us today by completing the form on this page or calling 949-548-9312. We proudly serve the Newport Beach, Irvine, Santa Ana, Orange County and Greater Los Angeles areas of California.